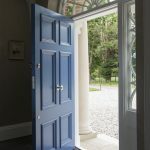 In our experience, there are some questions that recur quite often when talking to our customers about the range of wooden sash windows and Accoya doors available. We have listed some of these below. If you have any other question then please email or call and we’ll be more than happy to help. Is it possible to replace plastic windows with wooden box sash windows? 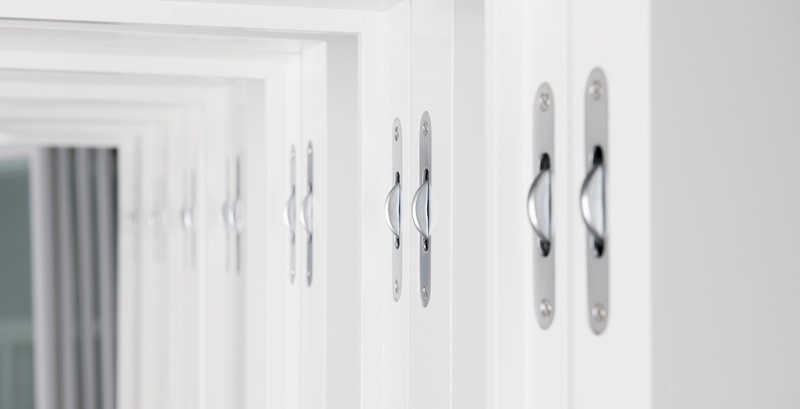 Does your new joinery comply with building regulations and any other relevant laws? Yes, our new box sash windows are compliant with Part L Building Regulations and meet or exceed all thermal and quality requirements as set out by our industry regulator. Double glazed replacement sashes are considered refurbishments and therefore are not subject to building control. Can I replace sash windows in a conservation area without planning permission? In most instances you can replace your box sash windows as long as it is sympathetic to the originals. There are some conservation areas where planning permission is required so we would always suggest checking with your local office. We would be happily assist you through the planning process if advice is needed. 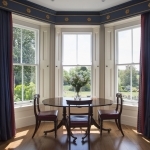 Are your sash windows suitable for listed buildings? Our classic sash windows are not suitable due to the double glazing. Windows for a listed building require bespoke joinery to ensure the originals are replicated according to planning conditions. How long does it take to install an average sized sash window? It only takes a day and then you can start to enjoy your new sash windows. We ask that the area around the window is cleared and ready for work to commence. We will be happy to assist you to move larger pieces of furniture. Antiques and other valuable items should also be removed where possible to provide a clear path to the window as our carpenter will be passing through with tool boxes, hoover etc. We bring in clean dust sheets and will cover the area before commencing work. When we confirm installation dates we will send you suggested preparations to make. Will there be much disruption during installation? Inevitably there will be some disruption, mostly dust and noise when the old windows are removed. We take the upmost care to keep this to a minimum and will respect your home and leave the room clean and tidy. Creating bespoke timber sash windows of our superior quality is labour intensive and every aspect of our sash windows proudly incorporates the best technology and materials available. Our price reflects the excellence of the product and service provided. If you would like more information please call with details of your project. We also offer a free survey for an accurate quotation. How should I maintain my new windows? Contrary to popular believe, our new box sash windows do not require much maintenance. They will need redecoration in future but to maximise longevity of the paint finish we recommend using Accoya™ and keeping the paintwork clean using a nonabrasive product. What preparations do I need to make prior to work commencing? We ask that the area around the window is cleared and ready for work to commence. We will be happy to assist you to move larger pieces of furniture. Antiques and other valuable items should also be removed where possible to provide a clear path to the window as your carpenter will be passing through with tool boxes, hoover etc. We bring in clean dust sheets and will cover the area before commencing work. When we confirm installation dates we will send you suggested preparations to make. Do you provide free surveys and quotations? Yes, all our surveys are free and with no obligation. If you have any queries please feel free to call and we will be happy to offer some advice. We cover all the UK and Ireland for new joinery. We primarily provide our renovation services to areas within South East England typically Berkshire, Oxfordshire, Buckinghamshire, Hertfordshire, Surry and Hampshire. The London boroughs we typically work in are Hillingdon, Ealing, Harrow, Hounslow, Richmond, Kingston, Sutton, Merton, Wandsworth, Hammersmith, Kensington & Chelsea, Westminster, Camden, Islington, Barnet, Greenwich, Lewisham and Enfield. Yes. We have experience in manufacturing our sash windows for the overseas market. Can I visit your sash window workshop? Absolutely. Please call to arrange an appointment. What VAT rate do you charge? 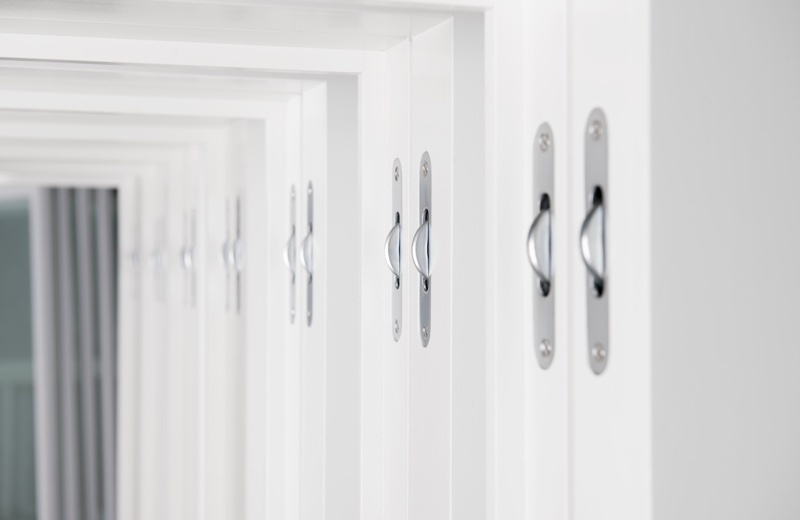 All new joinery is charged at the standard rate of 20%. Renovation work can avail of the 5% rate due to the energy saving benefits it provides. Lead times vary throughout the year but typically are between 8 and 12 weeks. We do not provide scaffolding as this is specialist safety equipment best provided by experienced companies. Do you remove all waste during installation and renovation? All items of waste will be removed from site and dealt with in accordance with our environmental policy. Yes, we do. On the rare occasion a client has a complaint, a copy can be requested by emailing us at info@whyteandwood.com or you can download a copy from the download section found on the side menu on our Customer Care page.